Fortify your network and avert digital catastrophe with proven strategies from a team of security experts. 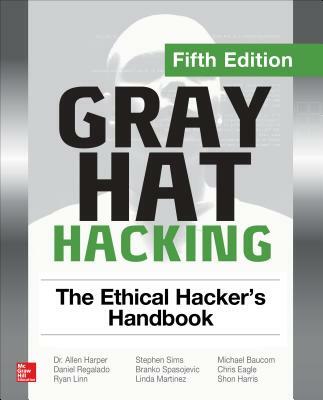 Completely updated and featuring 13 new chapters, Gray Hat Hacking, The Ethical Hacker's Handbook, Fifth Edition explains the enemy's current weapons, skills, and tactics and offers field-tested remedies, case studies, and ready-to-try testing labs. Find out how hackers gain access, overtake network devices, script and inject malicious code, and plunder Web applications and browsers. Android-based exploits, reverse engineering techniques, and cyber law are thoroughly covered in this state-of-the-art resource. And the new topic of exploiting the Internet of things is introduced in this edition.